Dance is as least as old as music. It has been part of religious and of public and private life, so is naturally a common subject in paintings. In the Renaissance it could be part of a classical subject, as a recreation of an idealised past. From the seventeenth century artists began to celebrate ordinary life. Country dances, weddings, dancing at home, and ballet performances, were all found in art. 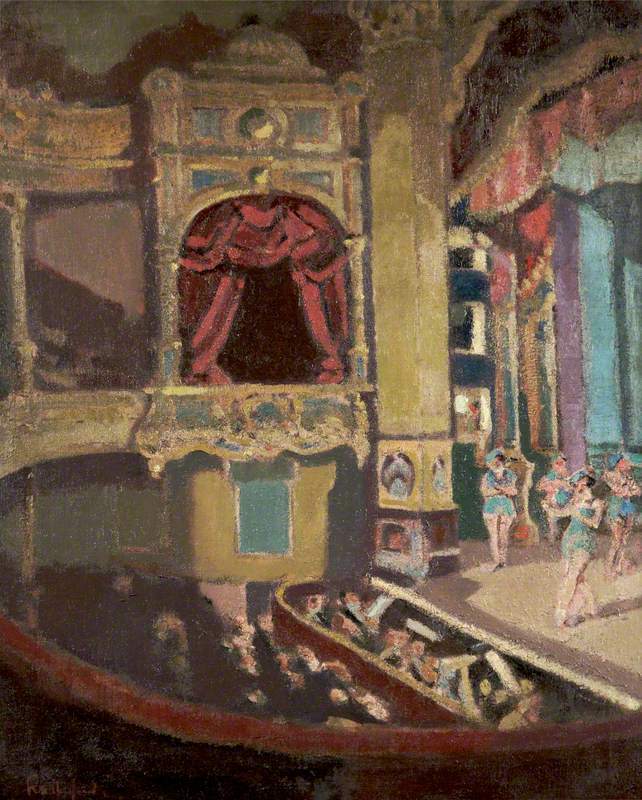 As a feature of modern city life, public dance halls and ballet appealed to the Impressionists. Degas and Toulouse-Lautrec in France, and Sickert and Laura Knight in Britain, are all well known for their sympathetic treatment of the hard lives of commercial dancers and performers, in the spotlight or behind the scenes.